Screen Printed Skull Mayhem Knit Beanie Hat | BUDK.com - Knives & Swords At The Lowest Prices! 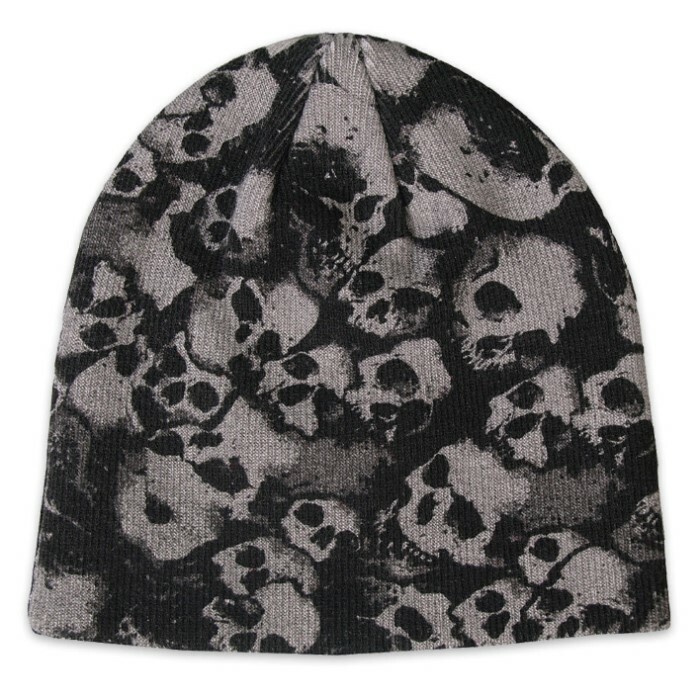 Show off your own unique sense of style with this eye-catching skull mayhem beanie hat! It is a grey desert camo color with a unique screen-printed skull mayhem pattern that will make a statement! This beanie is soft, comfortable, and guaranteed to keep your head warm.